I have had the pleasure of working for many lovely clients as a Private chef in their airbnb luxury rentals in stunning Queenstown. It really is the ultimate holiday destination but when you completely remove the task of cooking for your family and friends it takes the holiday to a whole other level. 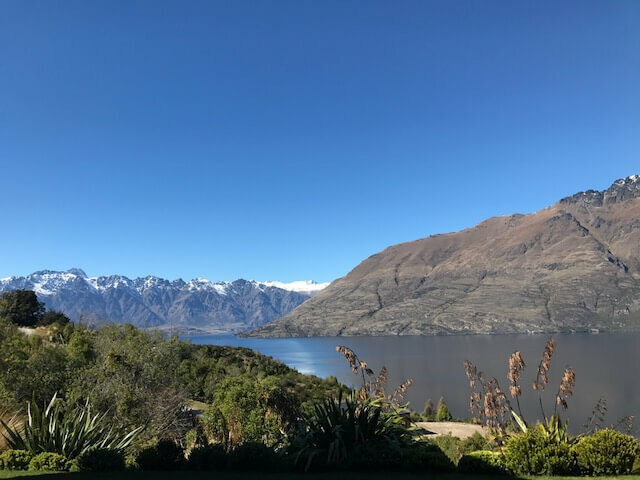 More time to enjoy all of the amazing offerings Central Otago presents and one less thing to think about when you have the opportunity to relax. At a Divine Dish I can create a menu to suit your tastes and requirements and will come to your location and cook your meals. If it is more suitable, I am able to prepare your meals at the Divine kitchen and have them packaged, labelled and delivered with a simple run sheet to follow. I cater for allergies from mild through to extreme as well as vegan, gluten, dairy and sugar free diets upon request. I was lucky enough to cook for this lovely family of four for 5 days in August at stunning Altitude Luxury. All meals were customised to accommodate serious allergies which limited their ability to dine out and relax. Instead I brought the restaurant to Altitude. I shopped and hand picked the finest of meats and provisions ensuring everything was pure and fresh each day. It was an absolute pleasure to cook for you Jit and Farnaz and fantastic to know you thoroughly enjoyed the service! Our family had the divine pleasure of Jo’s warm personality and delicious homemade cooking during our holiday stay in Queenstown, NZ. In no exaggeration she was a critical factor that made our trip and experience highly memorable. From August 30th – September 4th she came in daily to prepare dinner for the same night and lunch for the following day. She always had a smile, had impeccable timing, was extremely professional, had a knack for being present without intruding on personal space and made our airbnb rental feel like our home away from home. Jo is very flexible and caters to any and all needs seemlessly. For us she pre-planned a menu for the duration of our stay and submitted it to us in advance for our approval. Jo did all the shopping, was very mindful not to waste, prepared and served the meals and always cleaned up before she left. She thoughtfully, and without being asked, came up with ideas to stimulate an interest in food making for my two young girls. And because one of our daughters has multiple food allergies she came up with amazingly delicious and creative meals that were safe and enjoyed by all. Now, months later, we still think of and remember Jo so fondly. We wish we could have brought her back home with us!!! I can wholeheartedly say without any doubt that she will amaze even the most discerning client and be the best decision you ever made. The world needs more Jo Keppels.